A Seaweed Soup recipe I like to keep on hand for a rainy day. 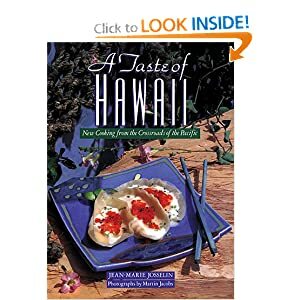 Order A Taste of Hawaii Cookbook - This book is perfect for all those who love to cook and read about food, but who also love to linger in the daydream of tropical and exotic locales. In a large saucepot over medium high heat; bring broth to a boil. Stir in pork. Reduce heat; simmer 2-3 minutes. Stirring to break up pork. Remove any skum that rises to the surface. Add salt, pepper, seaweed and ginger. In a small bowl; combine cornstarch and water. Stir into soup; stirring until slightly thickened. Slowly add eggs into soup to create thin ribbons. Add sesame seed oil. Garnish with green onion. Serves 3-4.